People with disabilities, including intellectual and developmental disabilities (IDD), want to work in their community. 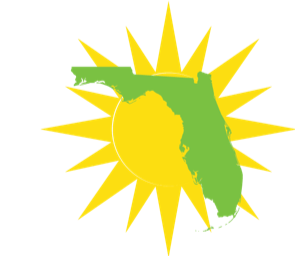 The purpose of this website is to provide information about what the state of Florida is doing to make it easier for people with disabilities to work. Explore the other pages on this website to learn more about how the state of Florida is helping people find good jobs in their communities! Webinar Recording Available: Self-Avocate Interviews! Employment First Florida went to the SANDs conference in Orlando and asked 10 people with disabilities about their experiences, feelings, and ideas about work. They shared that finding a job can be hard work, but all agreed in the end it is worth it. A group jpined us us on March 28 to hear what else they had to say. Check out the webinar recording. New Opportunity: Become a Local Interagency Collaborative Team! Do you want to receive support to develop and implement Employment First in your community? This is your chance! We are providing select communities with technical assistance to develop and implement local-level Employment First projects. The local teams help raise awareness that Florida is an Employment First state, ensure that local organizations work together to support employment for all, and identify and help resolve barriers to employment. Learn more about the opportunity and the application process at www.employmentfirstfl.org/localteams. Until a couple of years ago,Division of Blind Services counselors did not work closely with the employment placement specialists (EPS), also employed by DBS, to whom they would refer job seekers. EPS would then take on the responsibility of helping the job seekers find employment. In many instances, counselors would be brought into job situations to help people maintain employment by helping them become oriented to workplaces and obtain any needed accommodations and natural supports. DBS made changes to improve this process. Read more about DBS and other outstanding agencies. The conference is about the transition of youth with mental health disabilities, specifically addressing employment, community engagement, and systems of care. There will be workshops about mental health and college, career and life ready skills. The conference is scheduled for May 1-3, 2019 at the Omni Resort in Championsgate, FL. Family, educators, agency professionals, advocates, community partners, and others are invited to attend. More information. Our factsheets share information about employment for people with disabilities in Florida. Issue #4 explains what we mean when we say, “working in the community.” Our project partner Arizona, from Tampa, shared his thoughts for this factsheet: “My disability at work sometimes has a negative effect on my self-esteem, but my job helps me keep my head on straight and helps me focus.” Want to read more? Visit the self-advocate resource library to view and download this and other factsheets. Share them with others and help educate our community! Read about the good work we are doing! The report reviews the present challenges people with disability face and the challenges we face a as a community to get laws passed and keep making progress. Read out report today! In July, Dr. Danie Roberts-Dahm joined the Employment Florida Grassroots Group to share how Project 10 helps builds knowledge and transition service skills of educators, families, and youth. Dr. Robert-Dahm talked about Project 10’s in-person training, online education, and website resources. 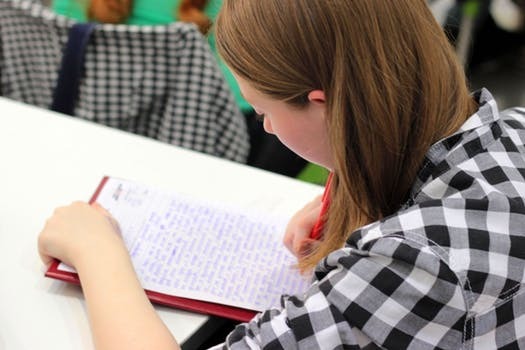 Through Project 10’s programs, educators can learn how to develop individual education plans that lead to employment, the discovery process, ways to work with students and future employers, how to increase graduation rates, and more. View full summary and meeting materials. View our presentation from the Employment First Florida we shared at the National APSE conference in Lake Buena Vista. Click for details and handouts. CareerSource Florida is the statewide agency responsible for compliance with workforce-related legislation. It creates policies that local workforce boards implement to increase community access to work opportunities. CareerSource Florida often collaborates with other agencies to organize job fairs, conferences, and other opportunities to connect the business community with job seekers, including those with disabilities. Read more about CareerSource and other profiles about agencies making a difference. Our April 24 event welcomed Eric Reed, the deputy director of Florida Alliance for Assistive Technology (FAAST), to learn about assistive technology initiatives and programs that connect job seekers with the resources they need to thrive at work. In his presentation, he walked through several programs that FAAST runs in Florida that help connect job seekers with the AT resources they need to thrive at work. FAAST is administered through the Florida Department of Education, Division of Vocational Rehabilitation. Read the full summary and access the event recording on the archives page. Ashley Wolfe, an ICI research liaison, presented at the Florida SAND Conference in Orlando on February 3. Wolfe, who has intellectual disabilities, spoke about a new curriculum the ICI developed to help people with disabilities find fulfilling jobs and advocate for what they need. The Explore Work Curriculum provides a chance for people with all kinds of disabilities to think about what kind of work they might like to do and to explore employment options. The curriculum includes short videos focused on asking for accommodations and finding transportation to the workplace. Missed the January 23 meeting? Visit the archive page for recordings and materials. Topic: Vocational Rehabilitation’s business relations project has become a leading tool for helping employers efficiently connect to potential employees with disabilities. Our guest presenters, Kathy Davis and Aleksander Bologna, will share information on the history of the business relations project and how it functions. Helping People Succeed (HPS) is a service provider headquartered in Jensen Beach, in Martin County. Since it was established over fifty years ago by parents wanting a better quality of life for their children with disabilities, HPS has evolved its programs and services to meet changing attitudes toward people with disabilities, and has grown to serve children and adults with disabilities and their families in four Florida counties. Read more about HPS. Read other profiles about agencies making a difference. In 2016, the Nassau County School District became an official Florida Division of Vocational Rehabilitation (VR) vendor. Administrators decided to have the school district become a vendor so it could better support its students with disabilities, ages 15 to 22, in paid and unpaid community-based work experiences before graduation and employment. Read more. All workers need to pay attention to transportation. Getting a job is great, but if you can’t get to the job, it’s a problem. Unless you have a driver’s license and a car, you need to do some planning. Watch our video about Lucy's transportation problem and possible solutions [link to video]. Visit the self-advocate resource library to view our Factsheets. Factsheet 1 looks at data from Florida’s Agency for Persons with Disabilities (APD). APD supports people with intellectual and developmental disabilities to live, learn, and work in their neighborhoods and communities. Factsheet 2 looks at data from the American Community Survey and the amount of people working. Factsheet 3 looks at data on the percentage of people who want to work from the National Core Indicators. Members of FL SAND (Florida Self-Advocates Network’D), a statewide network of local self-advocacy groups, wanted to develop a website for people with intellectual and developmental disabilities (IDD), service professionals, and family members. They created FSACentral.org as a news hub. The site features information and resources to improve the quality of life of people with IDD, as well as policy development updates and advocacy talking points. Self-advocates can use FSACentral to become informed, educated, and motivated to make change, whether or not they are members of FL SAND. The site is useful for all Floridians with IDD and those who support them, whether or not they have a local support network. Read more. Accommodations are changes made to the job so that a person with a disability can have access to everything he or she needs to do the job well. Once you have a job, you may have to ask your employer for the accommodations you would need so that you can do the job effectively. So it is up to you to advocate for yourself. Watch our video to learn how Jen asked for accomodations . Participate in the Employment First Florida Interagency Collaborative Team Pilots! The application makes local entities eligible for selection as an Employment First Florida Interagency Collaborative Team Pilot Site. Pilot sites will receive technical assistance and mentoring to support local level interagency partners. We encourage applications from collaborative groups in a common geographic area. The applicants should describe and define the geographic area (i.e. region, county, metropolitan areas, or another local geographic descriptor) that their Collaborative Team will serve. Learn about the project background and download the application now. The pilots are operated by the Institute for Community Inclusion at the University of Massachusetts Boston (ICI) and funded by the Florida Developmental Disabilities Council (FDDC). HRM provides human resource programs and services that attract, develop, retain, and reward a high-performance workforce. Among their activities, HRM offers training, roundtable discussions, and other resources that assist state agencies recruit and retain individuals with disabilities. Read about more about their programs. As part of Florida's collaborative Employment First efforts, the Florida Developmental Disabilities Council developed the Employment First Messaging Video. The video features leaders from each Employment First partner agency discussing the impact of Employment First. Check out the Explore Work curriculum! Sign up to receive Grassroots Group information, as well as interesting news and updates.